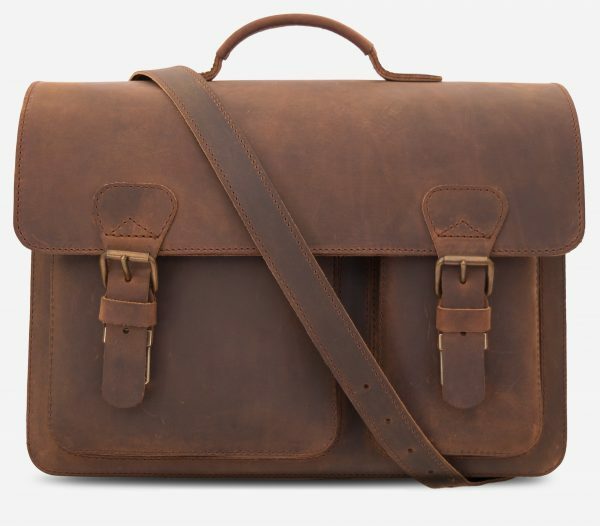 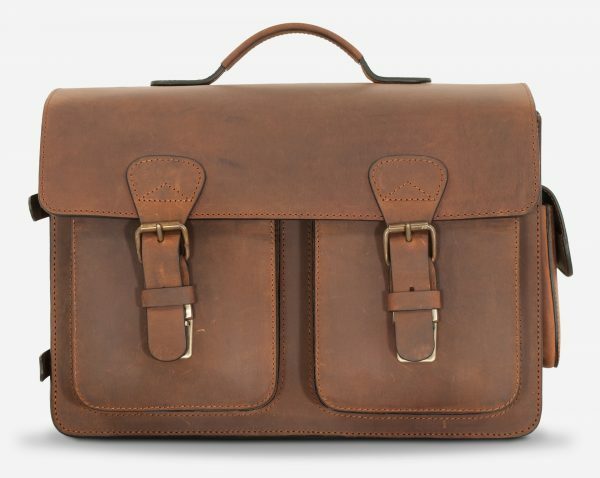 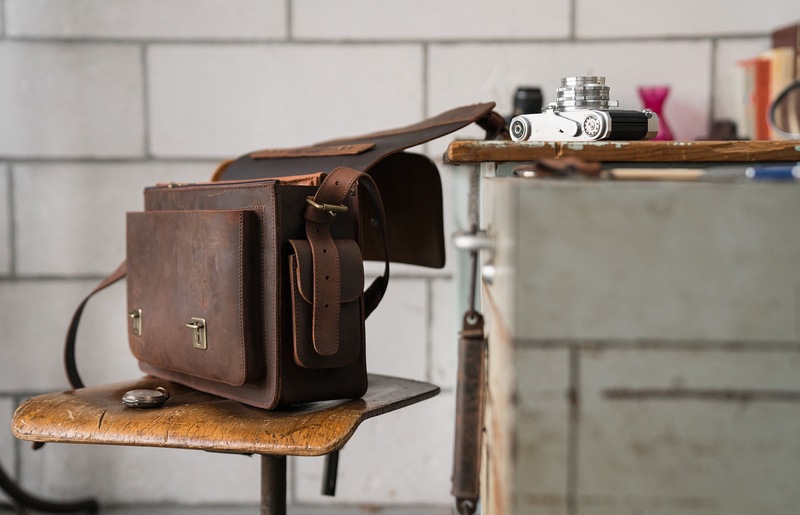 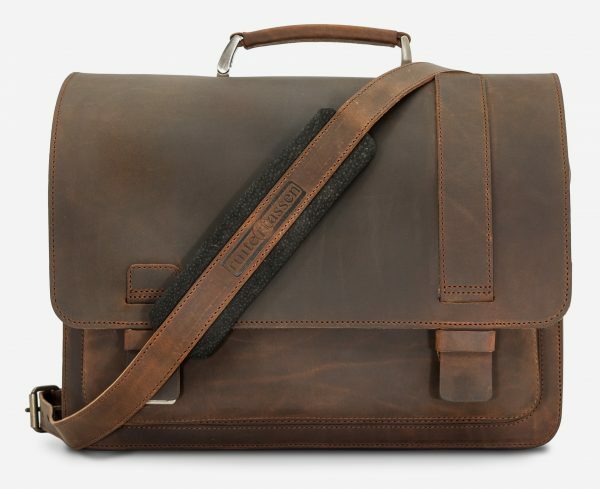 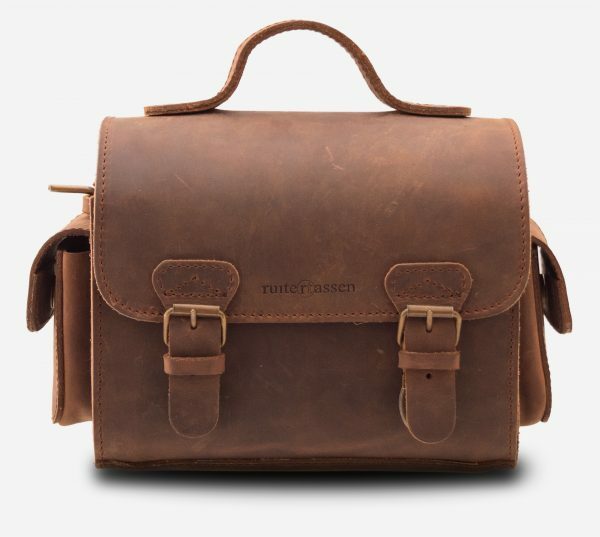 Handcrafted using techniques pioneered by Jacob de Ruiter, this camera bag is cut from robust vegetable-tanned oiled leather. 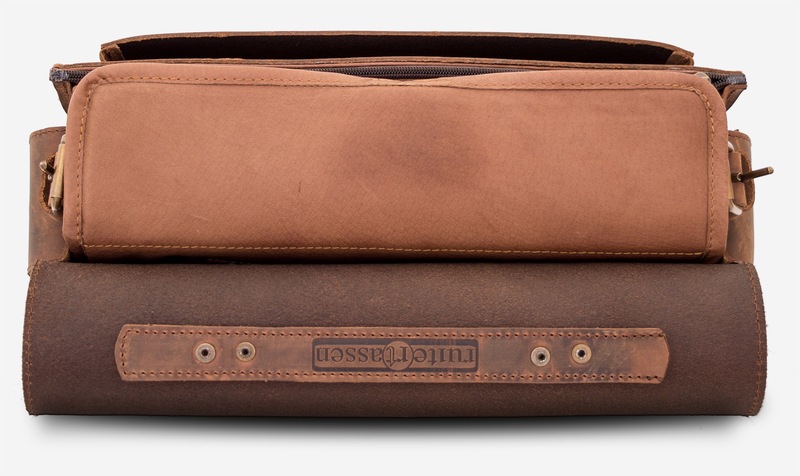 Only the interaction of the hide with mimosa, quebracho and chestnut barks delivers the deep natural colour of this artisanal leather. 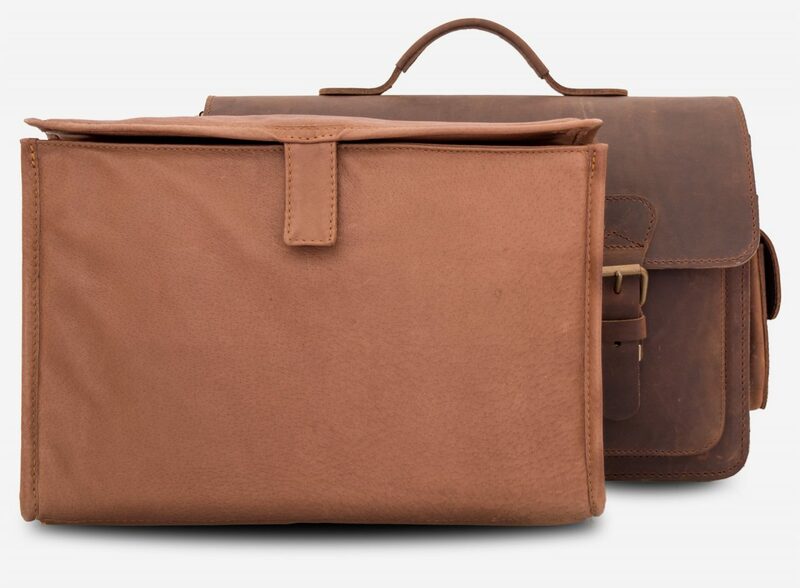 Keep you photography gear well protected in the snug padded insert. 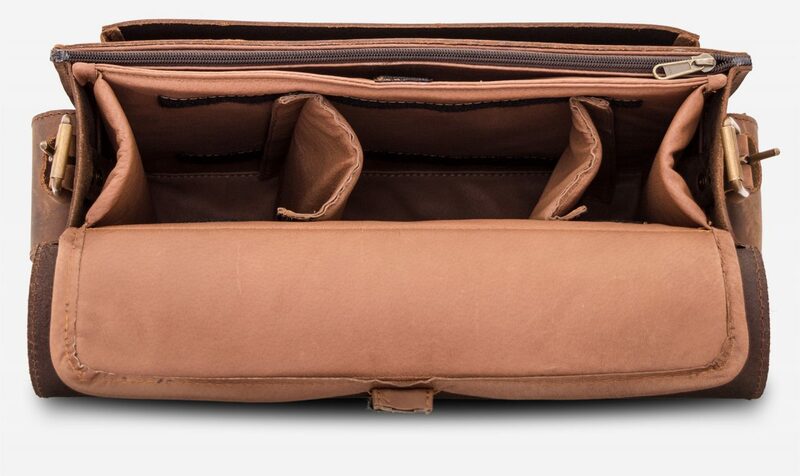 Made from a beautiful earth-toned pig skin leather, it has two separators, a handy zippered pocket in the back and is velcro fastened. 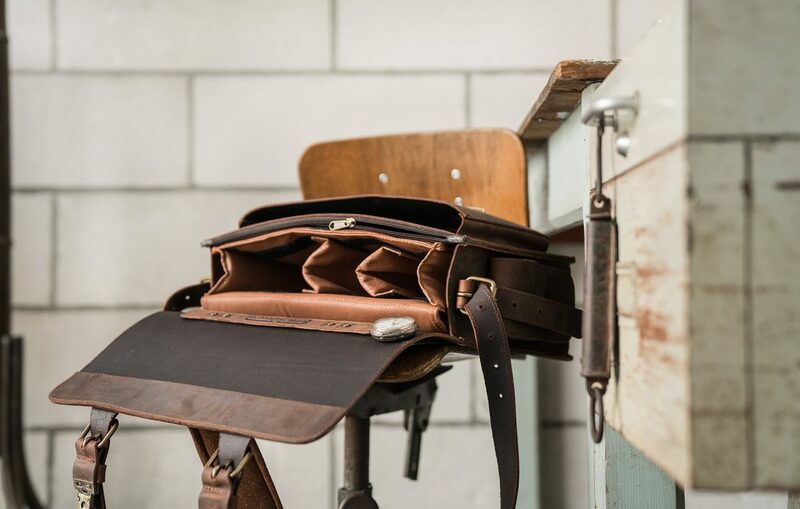 Without the insert, the Auguste becomes a beautiful every day bag to carry a tablet, hoodie and gear for any outdoor adventure. The large front pocket is ideal for quick stowing. 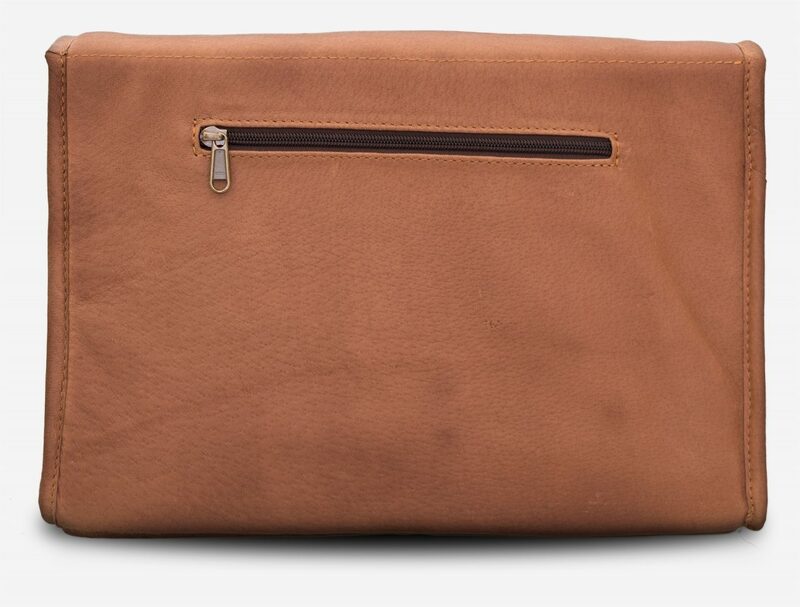 Store your batteries in the two external side pockets and protect your polaroid photographs in the front zippered pocket. 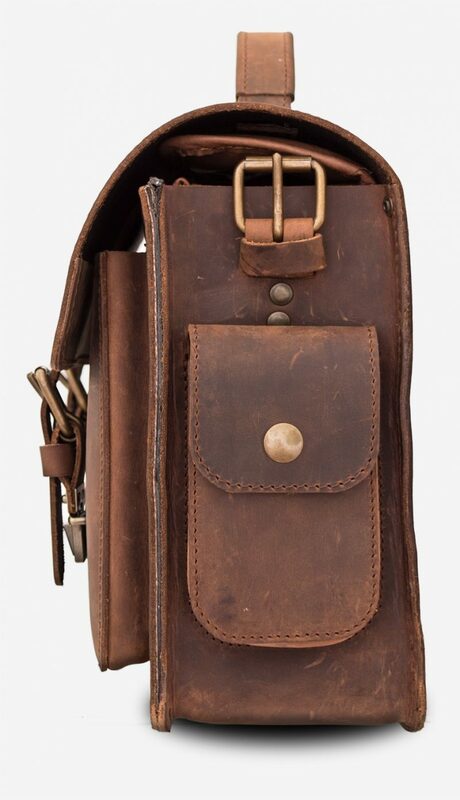 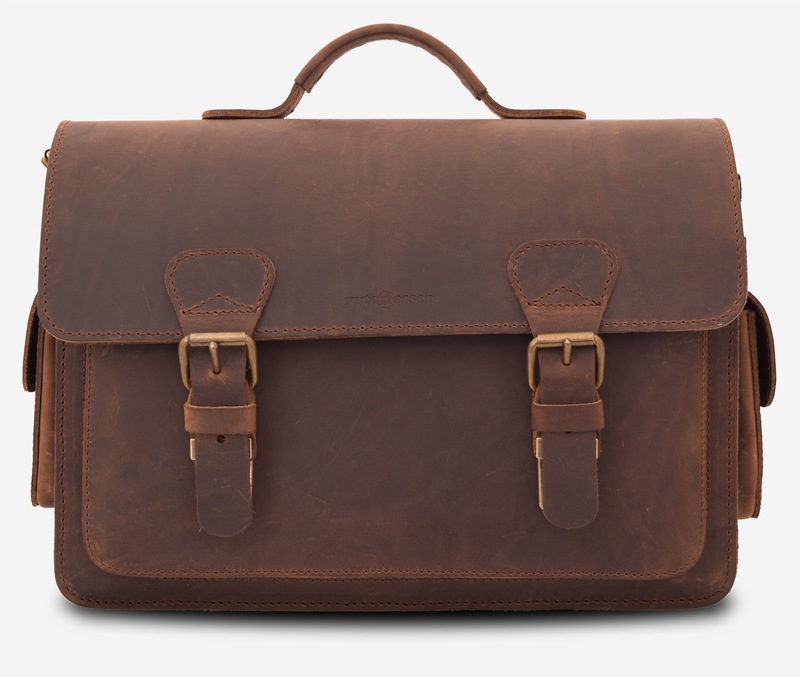 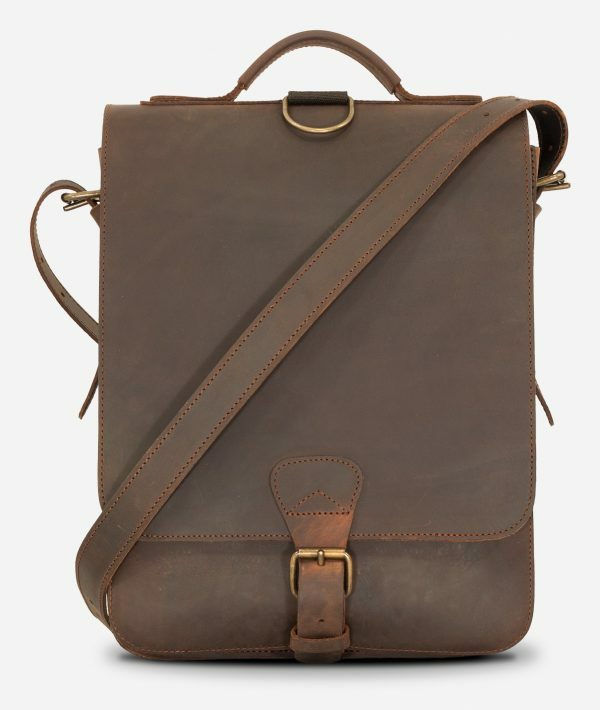 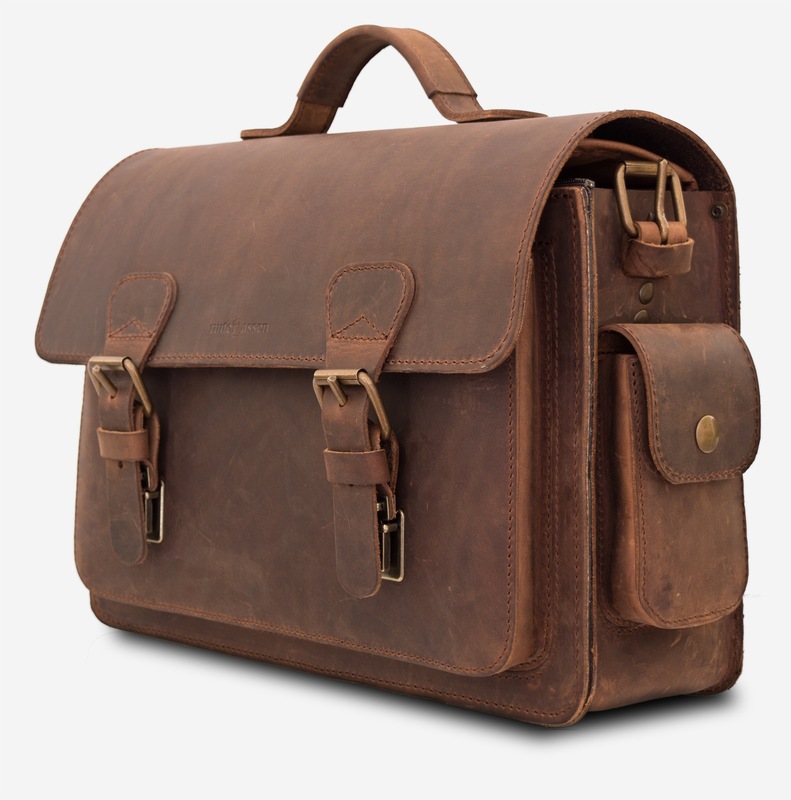 Carry it by the sturdy top handle or attach the adjustable leather shoulder strap. 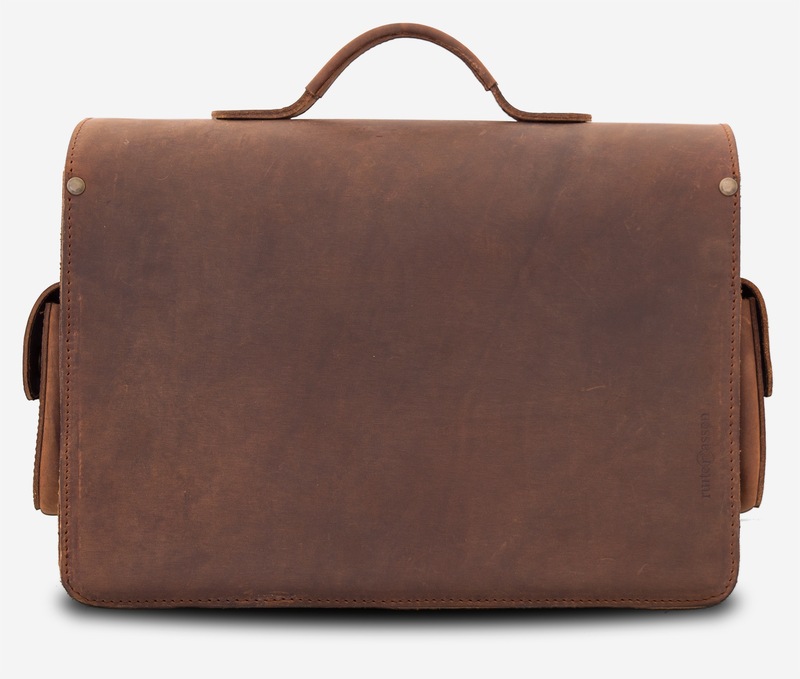 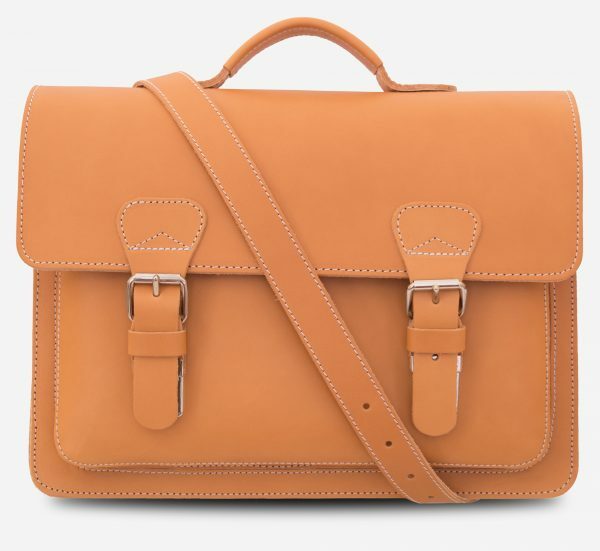 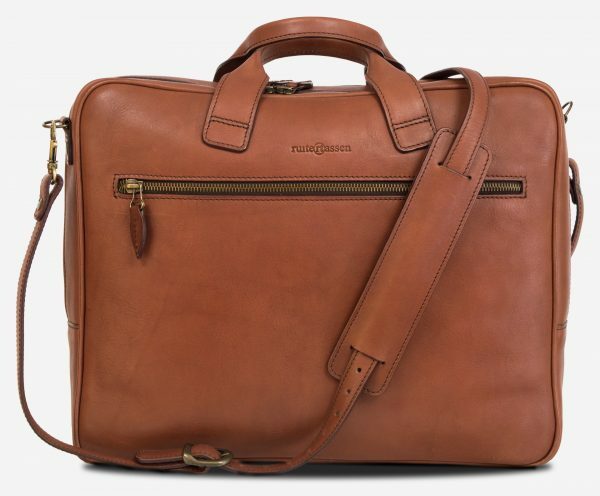 The Auguste camera bag embodies Ruitertassen’s timeless character.